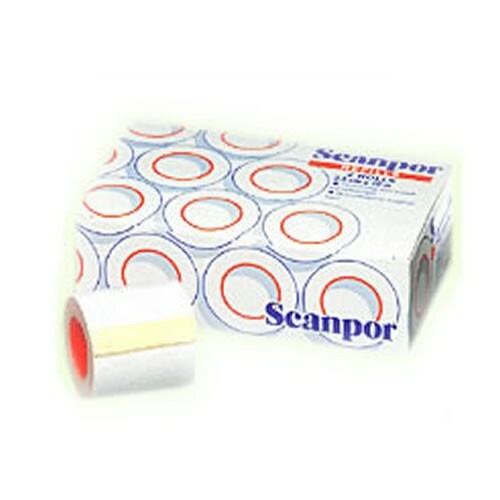 Scanpor Tape Refills are designed to secure primary dressings such as the Allevyn Non-Adhesive Foam dressings to wound sites. They are hypoallergenic and latex-free for safe use on a wide range of patients. Also, the non-woven tape is designed for a single use, so should be changed with the dressing. This prevents contamination. The non-woven design makes tearing the tape with your hand a breeze for quick application. In addition, the rolls of tape are available in 1 or 2 inch widths to meet each patient's individual needs. I have been using this tape for use to "frame" an ostomy appliance for the past 15+ years. I became aware of it from a Ostomy nurse who recommended it. I have tried a few other paper and other forms of tapes to be used for this. None have given me the comfort and security I know this tape gives me. I know that even with multiple daily showers, it holds true. I've had it hold up for a week between appliance changes. I am using this product for the past one year and it has been really good. The big advantage of this tape is that it is available as a non-woven tape that is considered to be hypoallergenic. It is fit to be utilized in safeguarding dressings. The refill rolls are designed for single-use and are non-sterile in its composition.